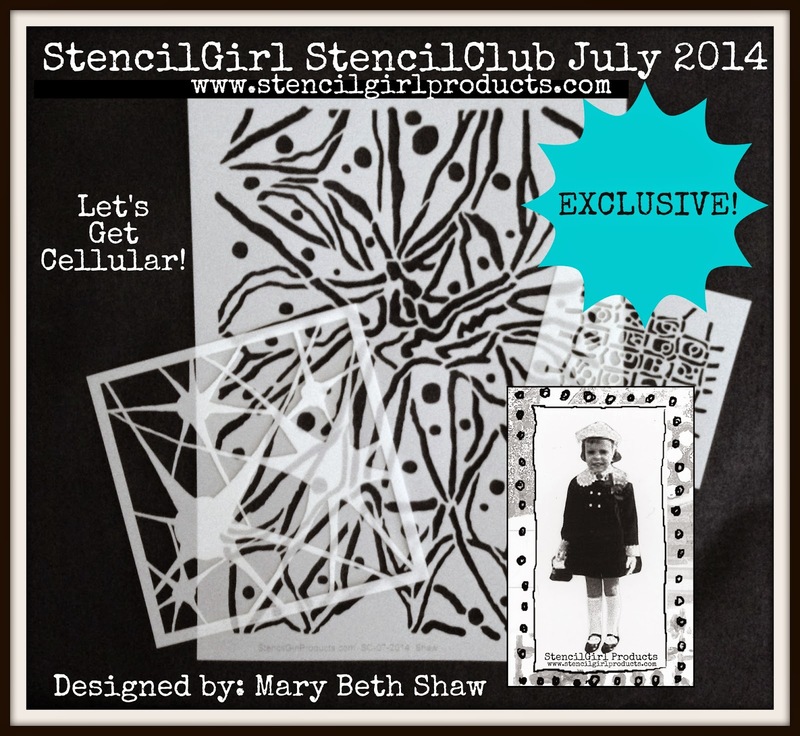 EXCLUSIVE July 2014 StencilClub stencils designed by MaryBeth Shaw! 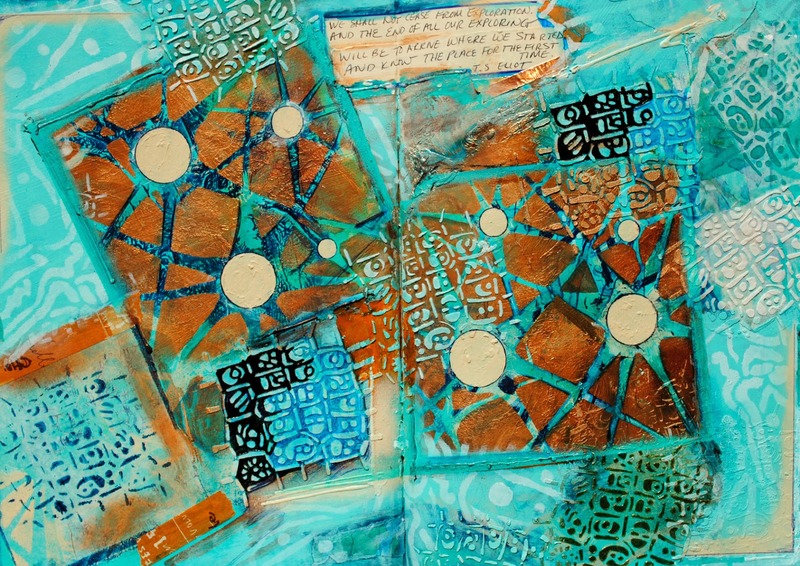 I used all 3 stencils in this art journal spread! 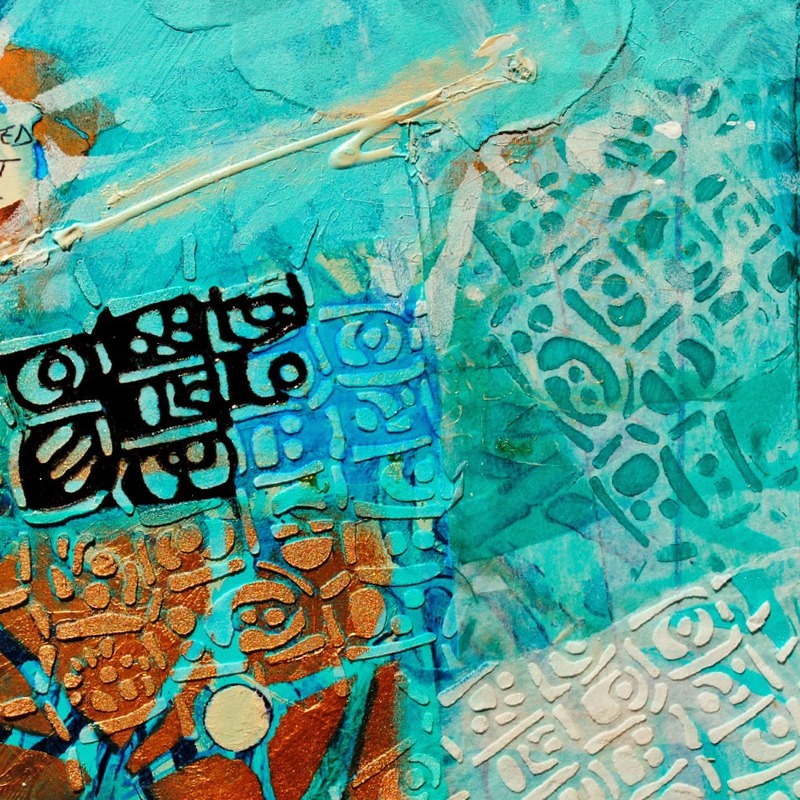 that’s because I created this art journal spread while making the StencilClub EXCLUSIVE video with Mary Beth Shaw! 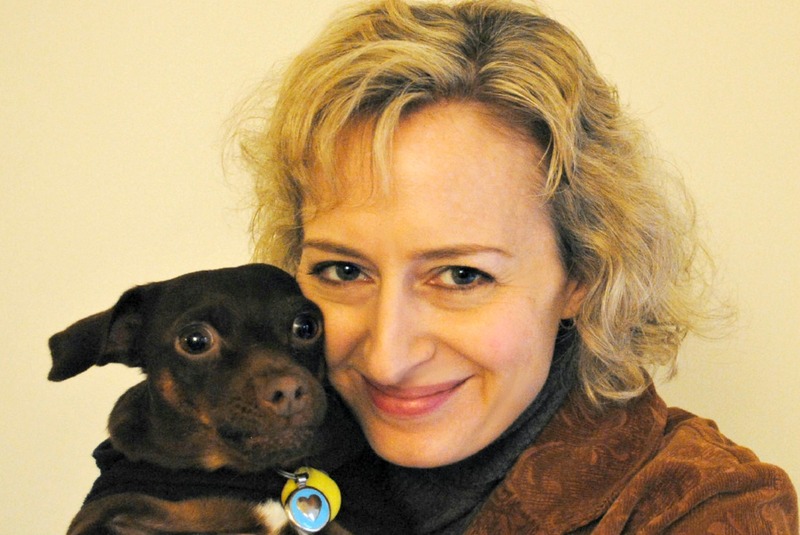 I was so honored and delighted that Mary Beth invited me to her home to make this video. We had tons of fun art journaling that day and will be sharing additional art journaling techniques not included in Mary Beth’s webinars! 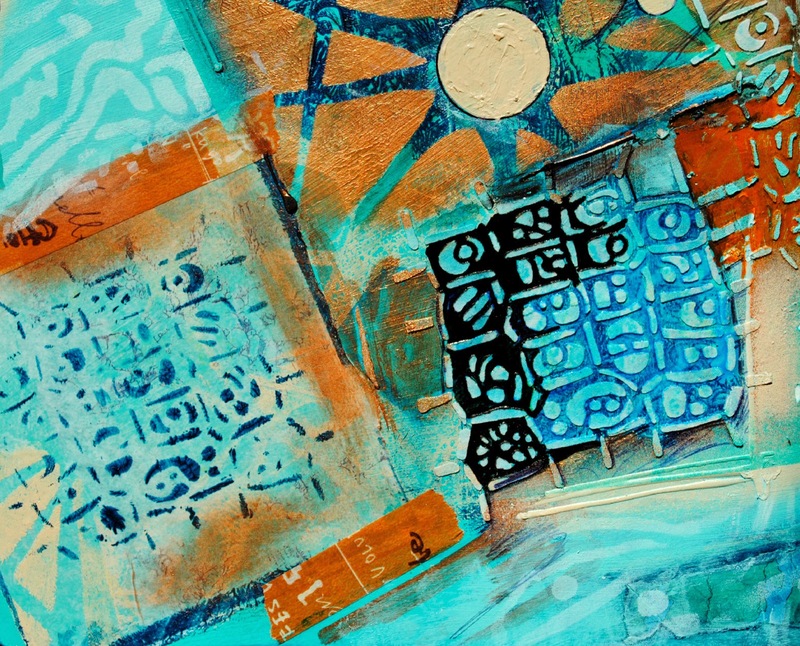 And the StencilClub giveaway this month is going to be oh-so-good…oodles of goodies to incorporate into your own art journals, including hand-painted papers Mary Beth and I made! I used lots of techniques in these pages building up layers and textures. Not a member of StencilClub? You can see all the benefits and join StencilClub on our website. One of my favorite benefits is the StencilClub Secret Facebook Group!! So much EXTRA inspiration and insight there! 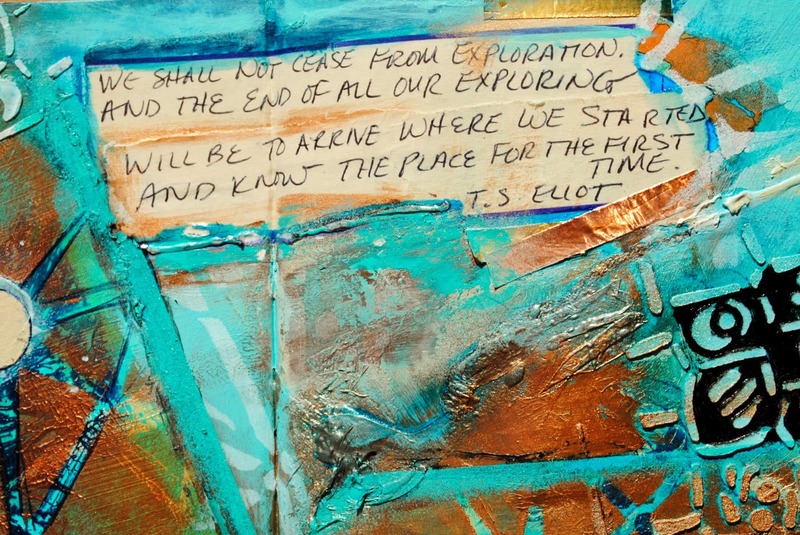 Stay tuned for even more StencilClub inspiration from other members of our team! 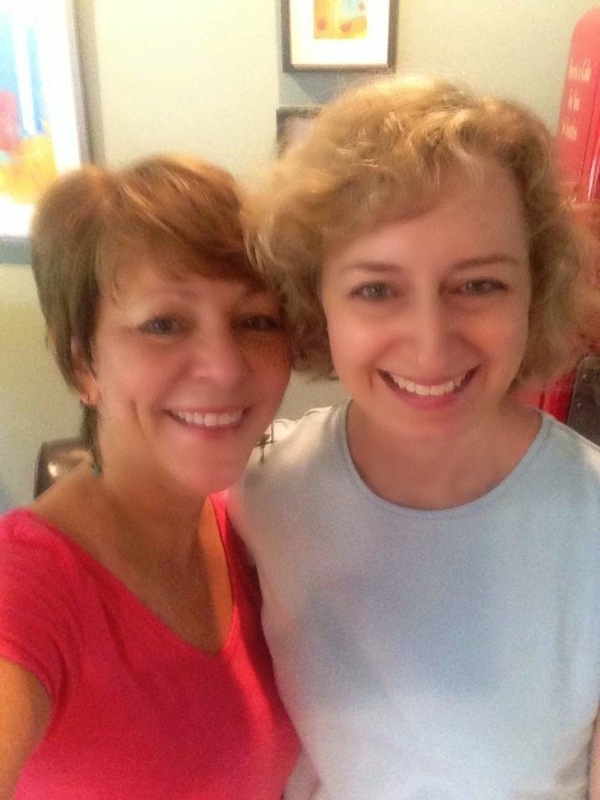 I had tons of fun art journaling with Mary Beth! This piece is outrageous!.I can hardly wait for mine.I want them now!!!!!! loved the razzed places,molding paste would be my guessI am out of black ,I wonder what they would look like w/ payne' gray or dioxazine purple ,oh well, by the time my stencils get here Ill have re-stocked the black.great use of July's stencils. Thanks, Sandy!! Can't wait to see what you make with these stencils!! I can't wait to see this video, Mary Beth and Mary! Mary, this is beautiful -- you are continuing to get the most beautiful results with your color combinations! And Mary Beth, the stencil designs are delightful -- just the kind of thing I love! If you're 5 years old or 50, playing with your friends is fun! Looks like you girls had a blast! We did have a blast, Laura! So fun to make art with friends! Stunning piece Mary! The colour and texture are so beautiful! I have truly become a fan of yours and of SG. As my new credit card will attest. In fact, I like it so well that I am willing (but not pleased) to keep my laptop on my lap. Since you are so good with maps, can I suggest things? (SG is going to wish I wasn't a member, I have so many questions and suggestions.